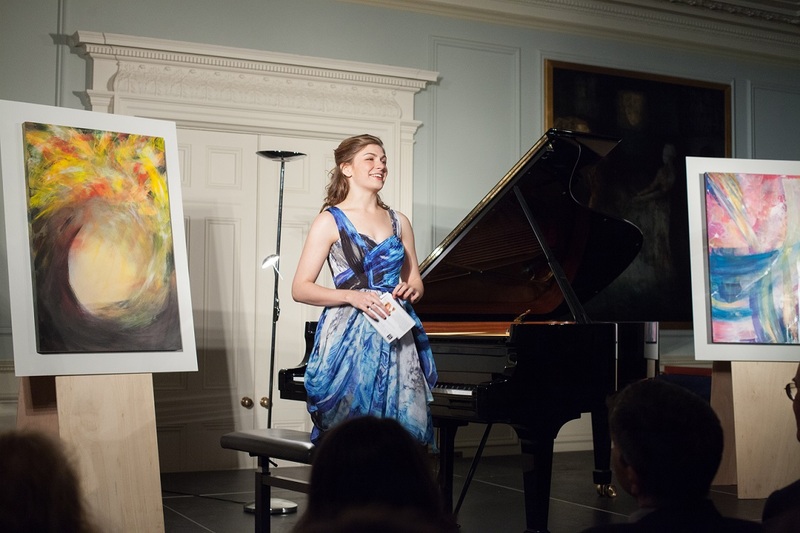 On 4th December, in the beautiful Knightsbridge home of Lord and Lady Ellis, we had the pleasure of seeing the Messiaen 2015 project finally go public. 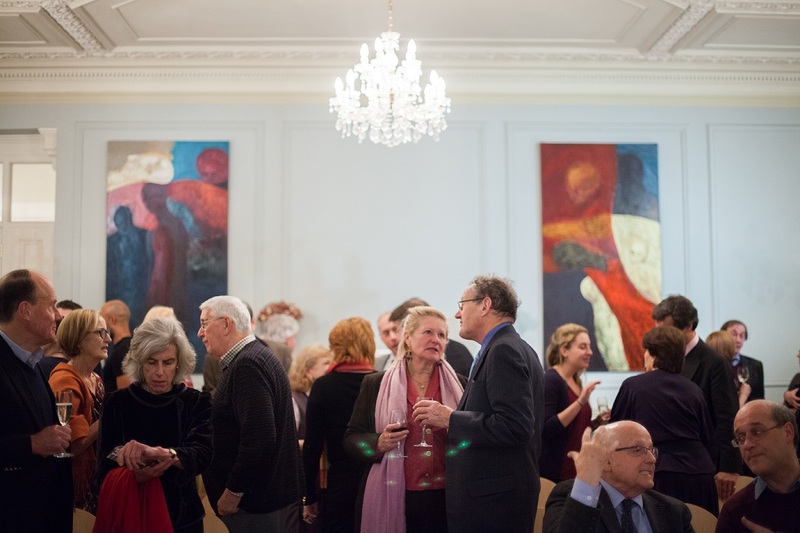 It was an honour and a delight to share the event with a full house, including contributors to the project, scholars, journalists, friends, and even acquaintances of Messiaen himself. 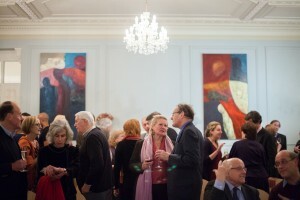 Guests were welcomed in from the winter’s night with champagne and Christmassy canapés; merriment increased as people viewed the three paintings brought by artist Sophie Hacker for the evening, and the room became busier and busier until we had to find more chairs. When everyone had found a seat the evening was introduced by Jeremy Begbie, Professor and Lecturer in Music and Theology at the University of Cambridge and Duke University, NC. Jeremy spoke about the project’s potential to find new relationships between music, art and poetry, and to provoke new and exciting ways of thinking in the arts. 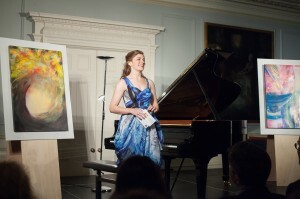 Cordelia Williams, pianist and director of the project, then gave a short insight into the origins of the ‘Messiaen 2015′ idea : she was invited to perform the complete Vingt Regards at King’s College, Cambridge, and during the sixteen months it took to learn the work she discovered how fascinating and wide-ranging Messiaen’s sources of inspiration were. 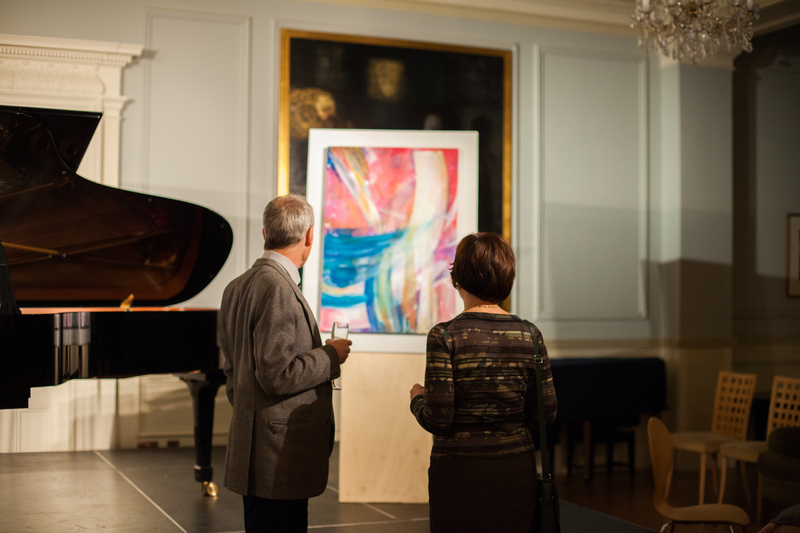 The composer’s own interests in literature, art and theology are precisely what led to the commissions and events of Messiaen 2015. 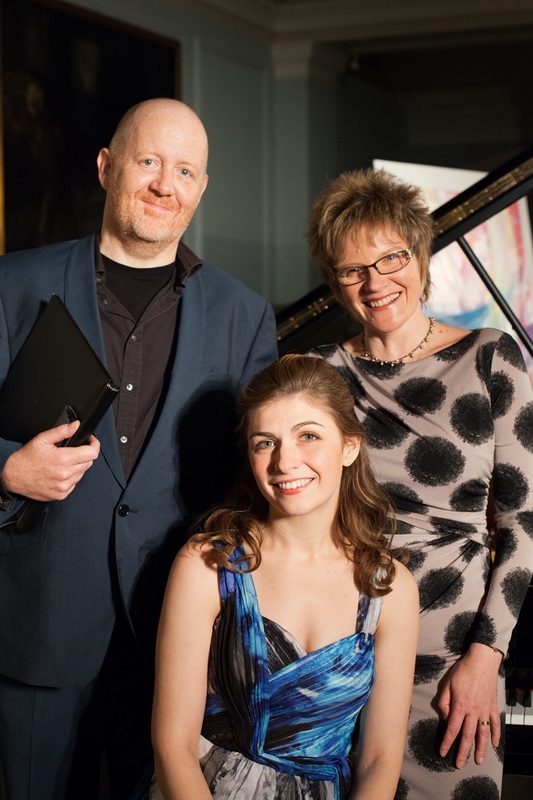 Cordelia then introduced artist Sophie Hacker and poet Michael Symmons Roberts, who each gave a fascinating glimpse into the process of responding to their commission; both spoke about how the project had challenged them and led their work in a new and unexpected direction. 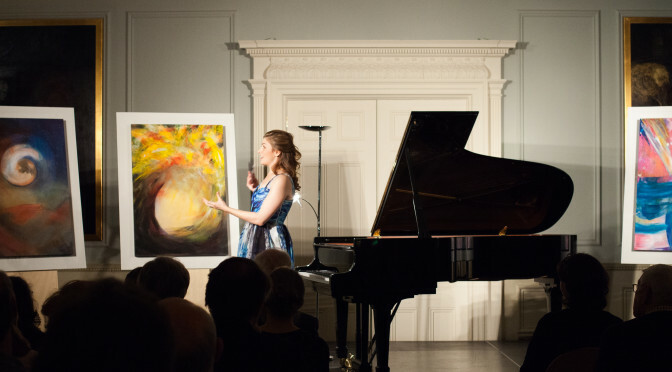 The audience was then treated to an inspiring and moving performance by Cordelia and Michael: three movements of Vingt Regards – Première communion de la Vierge (“The Virgin’s first communion”), Noël (“Christmas”), and Regard de l’Esprit de joie(“Contemplation of the joyful Spirit”) – interwoven with Michael’s readings of three of his poems, which explore the idea of an infant born in a city under occupation. 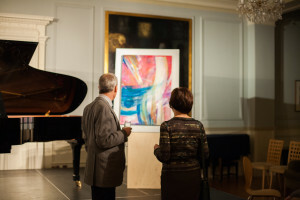 The combination of the music with the poetry readings, alongside the paintings displayed on stage, was a unique experience and people were excited to see how each artist responded independently to the music. Cordelia rounded off a wonderful evening by sharing the events planned for 2015 and by thanking everyone without whom the project would not be possible: Lord and Lady Ellis, Veronica and Ruth for their assistance at the venue, City Music Foundation for their generous support, Louise Gaskell for her invaluable help as Producer of the series, and someone special for ‘constant encouragement and reassurance over the last two years, and putting up with her night-time panics that she would definitely never be able to learn movement number 6 and that all the events would fall through’.